We do not service Fire Extinguishers. 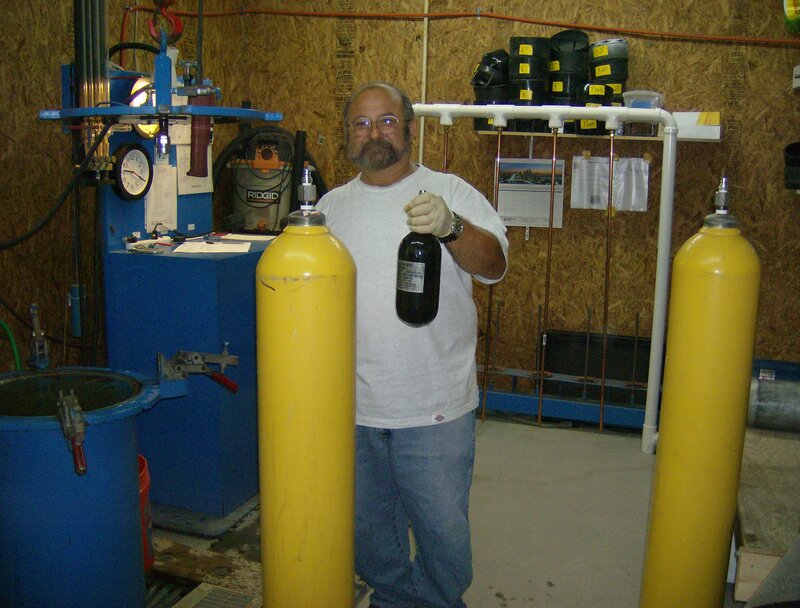 paintball bottles and storage cylinders to 57 inches tall with test pressures to 10,000 psi. We also test HT low stress cylinders. 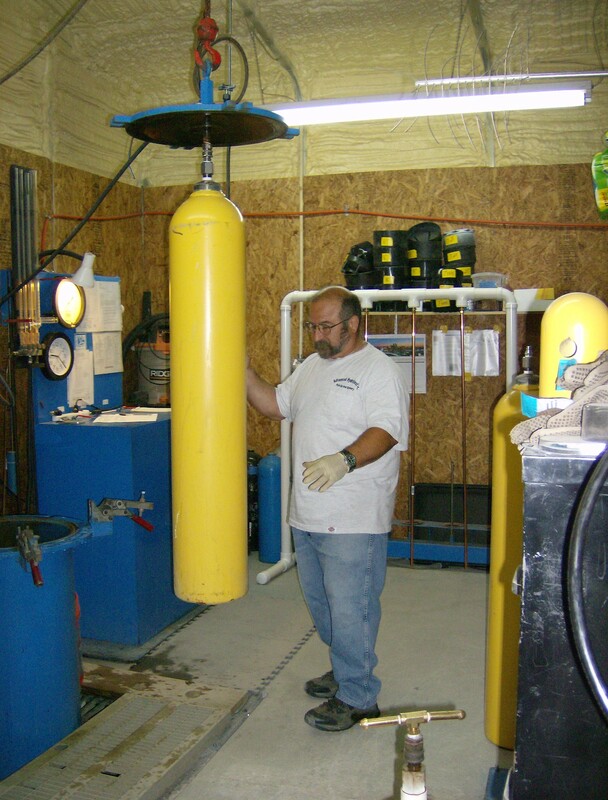 Cylinder tumbling, O2 cylinder washing & valve repair. around for bank bottles can be made. Yearly Visual inspection available as well as Eddy current testing.